Designed specifically for the North American market, our new Multi-Point Hinged Patio Door System combines all the innovative features you are looking for with the superior quality and performance that you expect. The Adjustable Guide and Set Hinges provide vertical and horizontal adjustment for a perfect fit. 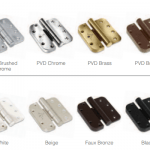 The hinges are manufactured from extruded brass or aluminum for superior strength and excellent corrosion resistance. 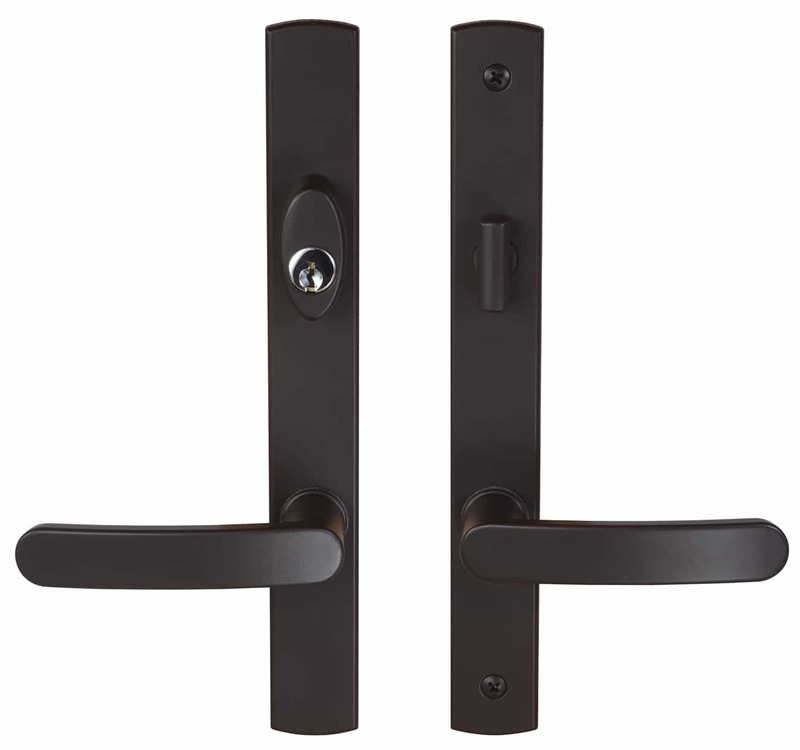 Our unique “Duo-Glide” lock mechanism is superior to standard single drive systems. The “Duo-Glide” two-way action balances the lock system providing smoother, quieter, and easier operation. 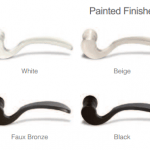 “Duo-Glide” allows the lock points to engage in tension rather than compression thereby reducing stress on other elements of the lock system for longer life. 16 mm or 20 mm faceplates to fit standard eurogrooves. 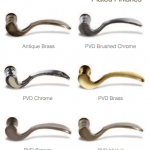 Passive hardware is available in either a handle activated eurogroove version or a manual single lever flush bolt. Center latch can be reversed with the hardware installed in the door. Dead bolts and shoot bolts have 1″ of throw.